Miguel is getting baptized today! Help him fill the font by answering these questions. 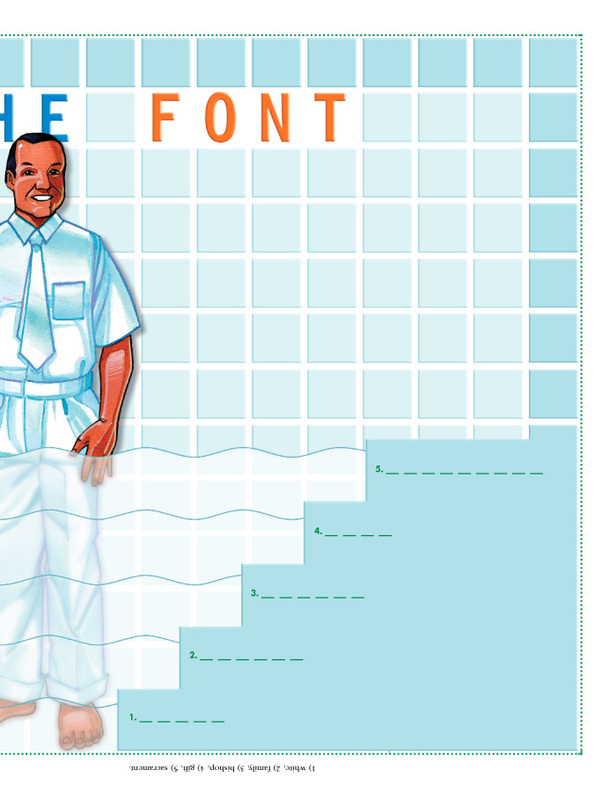 Start with the first question, which is next to the bottom step of the font. Look up the related scripture, and find the word in the scripture that would best answer the question. Write the answer in the space on the other side of the font. After you have written the answer, color the water for that level. Then move up to answer the next question. 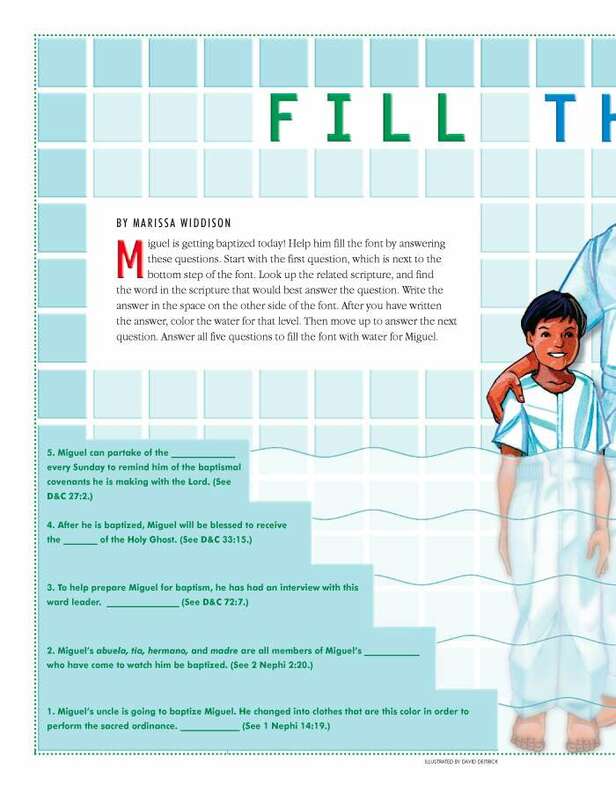 Answer all five questions to fill the font with water for Miguel. 1) white, 2) family, 3) bishop, 4) gift, 5) sacrament.